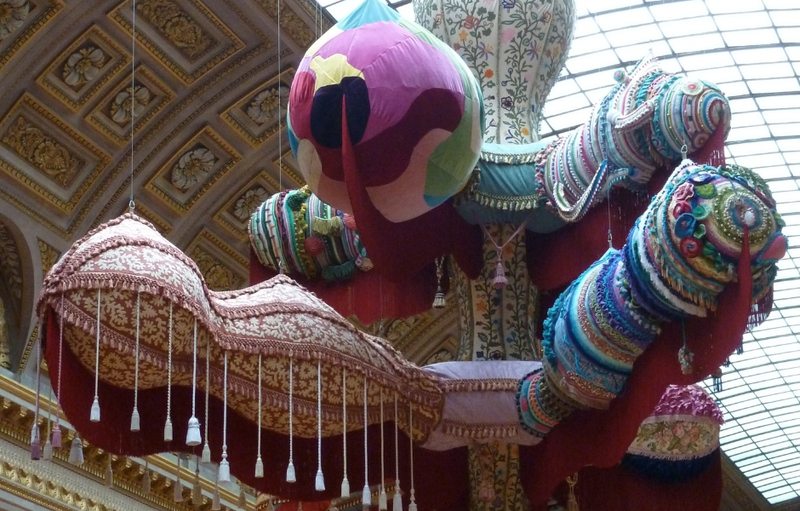 Today I wanted to talk to you about an artist who uses crochet a lot in her work: Joana Vasconcelos. 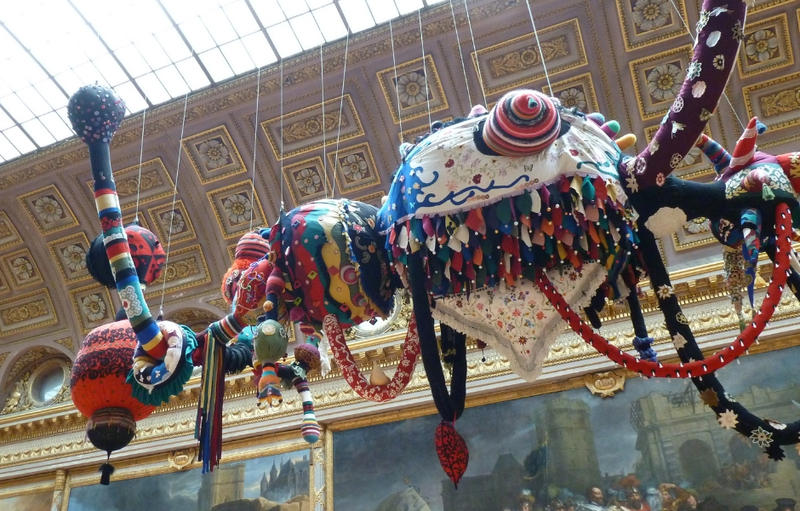 You may have heard of Joana Vasconcelos recently if you looked at the work exhibited at the Royal Academy of Arts earlier this summer. Royal Valkyrie was indeed the centrepiece in one of the exhibition rooms (as seen in this video, at about 3:40). I discovered this French-born Portuguese artist back in 2012, when I went to visit the palace of Versailles with my aunt and my cousin. 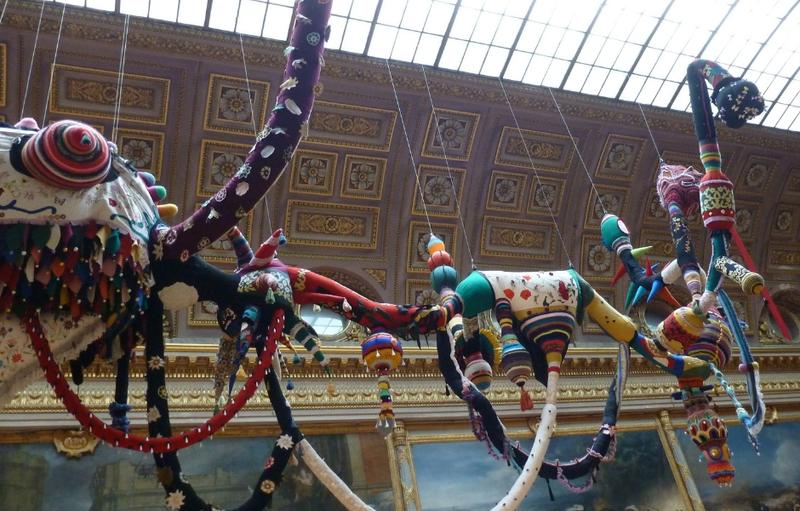 We didn’t know that there was an art exhibition running at the time and we had no idea what these enormous, weird, colourful shapes were doing in the opulent galleries of the former French royal residence. But you know what? They didn’t feel out of place at all! Surprisingly, all the “too-much-ness” of the venue and of Joana’s works sort of balanced each other out in a harmonious way. 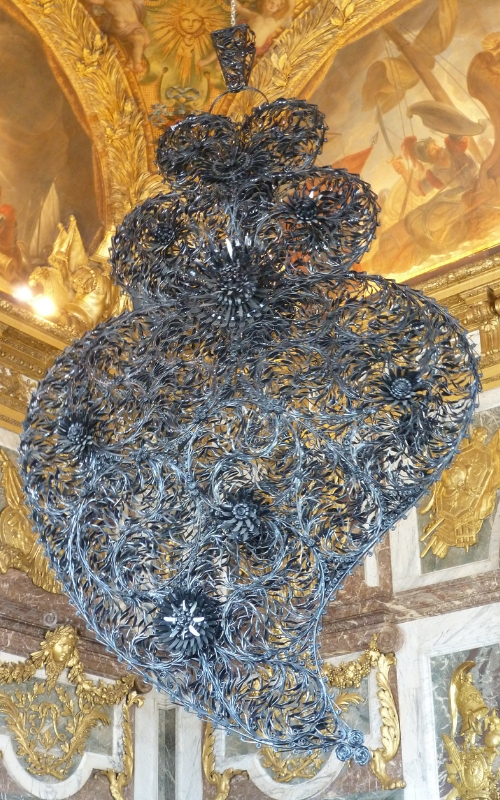 I have seen pictures of Joana’s monumental pieces exhibited elsewhere, and although it is not quite the same as seeing them with my own eyes in situ, I cannot think of a better place than Versailles to display them. After all, if a sensory overload is unavoidable, it might as well be due to yarn and fabric! Not all of Joana’s work is crochet/knitting/fabric based. 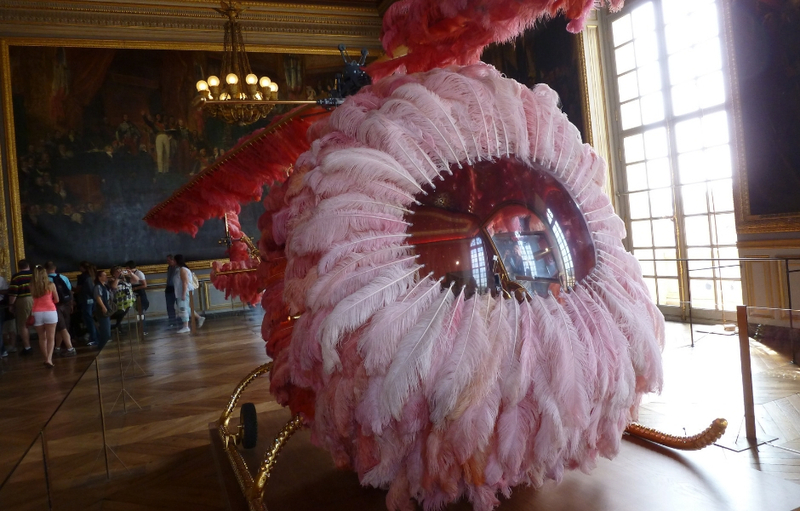 In keeping with the opulent and feminine theme running through the Versailles exhibition, I was lucky enough to see a few other pieces, like Lilicoptère and Black Independent Heart. 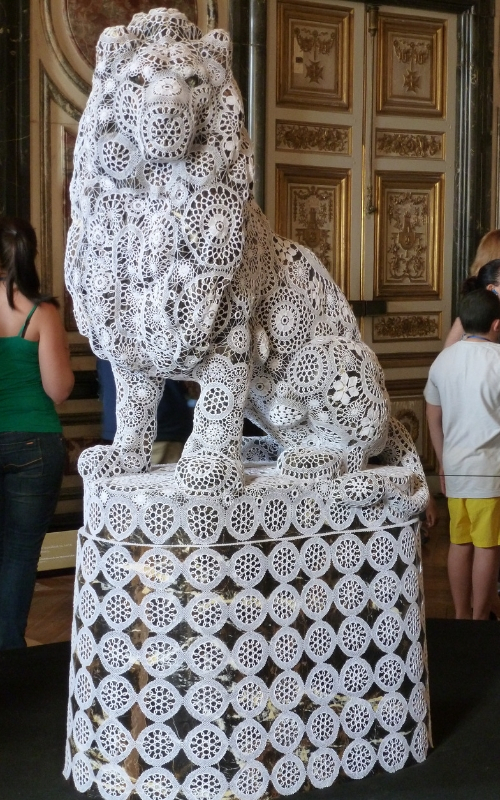 Some of Joana’s other crochet works are more subtle and toned down, like the Gardes, covered in monochrome, doily-like pieces of crochet. So, what do you think of Joana’s work? Let me know in the comments! And if you want to discover more of her joyous, intriguing and compelling pieces, you can have a look on her website.